Pit Stop USA is The Online Motorsports Superstore! Pace Race Jacks set the standards for quality and performance in the high performance jack industry. Pace Race Jacks are built for speed and durability in Wasco, Illinois and feature Paceas exclusive CAD/CAM design for optimum performance. 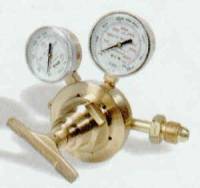 All Pace Race Jacks incorporate similar features from the aheart of the jacka aluminum power unit, to the flex shaft for handle pressure release, and modular, easily replaced components for field service. Pace Race Jacks are offered in various styles from the Sport model to the 1 pump Nextel Cup model. Pace Race Jacks are race proven with more than ten years of track service in all areas of racing from weekly racers up through the NASCAR Nextel Cup circuit. 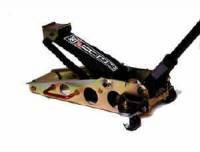 We offer Pace Sport Jacks, Pace Pro Rally Jacks, Pace NASCAR Garage Jacks, Pace Single Down Jacks, Pace Double Down Jacks, Pace Flat Jacks, Pace Pro Race Billet Double Down Jacks, Pace Pro Race Double Down Jacks, Pace Pro Sport Jacks, Pace Low Jacks, Pace Flatmasters, Pace Dirt Wing Kits, Pace Pit Carts, Pace Papa Bear Pit Carts, Pace Mama Bear Pit Carts, Pace Baby Bear Pit Carts and Pace Tire Carts at low everyday prices.